T-Mobile doesn’t just want to be your phone carrier. It wants to be your bank, now, too. Today, the company introduced “Mobile Money by T-Mobile,” a free mobile banking service that offers a prepaid Visa card, direct deposit, check deposit by phone and a network of 42,000 no-fee ATMs. The service also includes a companion money-management app for smartphones. This is a terrific business move by T-Mobile. The company already has a reputation of being a low-cost cell provider, so it’s likely a high percentage of its customers are “unbanked.” By offering these folks a bank that largely exists on their smartphone, T-Mobile makes it easier for customers to pay their monthly smartphone bills. It also gives great added value to those subscribers, giving them a reason to stick with the company without tying them down with contracts. 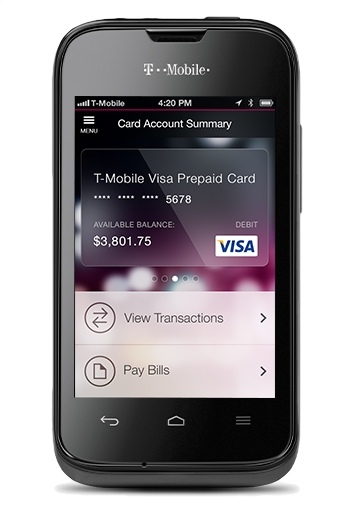 Mobile Money by T-Mobile launches today online and in participating T-Mobile retailers. For more information, visit the company’s website.